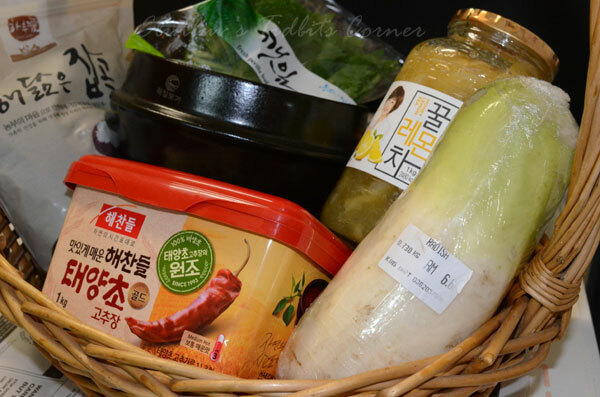 Elinluv's Tidbits Corner: My Basket Of Korean Stuff From WB...Valentine's Gift ? 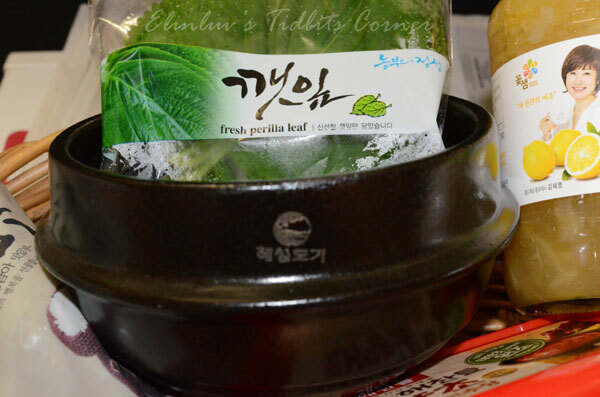 My Basket Of Korean Stuff From WB...Valentine's Gift ? I picked up a few items which I can't get from Ipoh and at a cheaper price too. 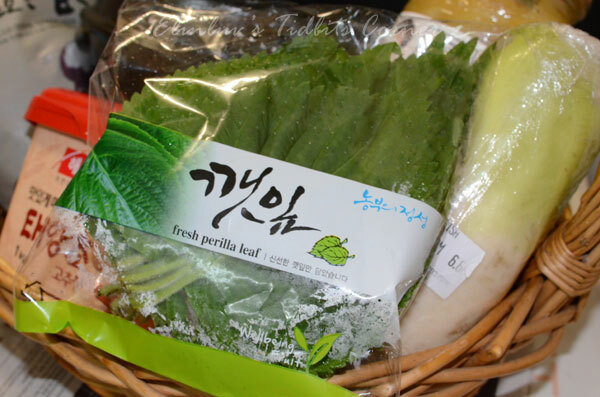 As shown on the photo above, we got ourselves a Korean-Dolsot-Ddubaegi , a 1 kg tub of Gochujang hot paste , a bottle of Lemon honey , Korean radish ( very sweet, should have bought more for making pickled radish banchan ) , 1 kg of Korean wild short grain rice and not to forget a packet of fresh Perilla leaves for wraps when eating grilled meat. THANK YOU AND LOVE YOU GUYS TOO ! HAVE A BLESSED VALENTINE'S DAY!